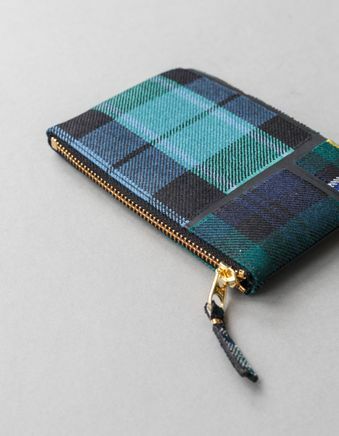 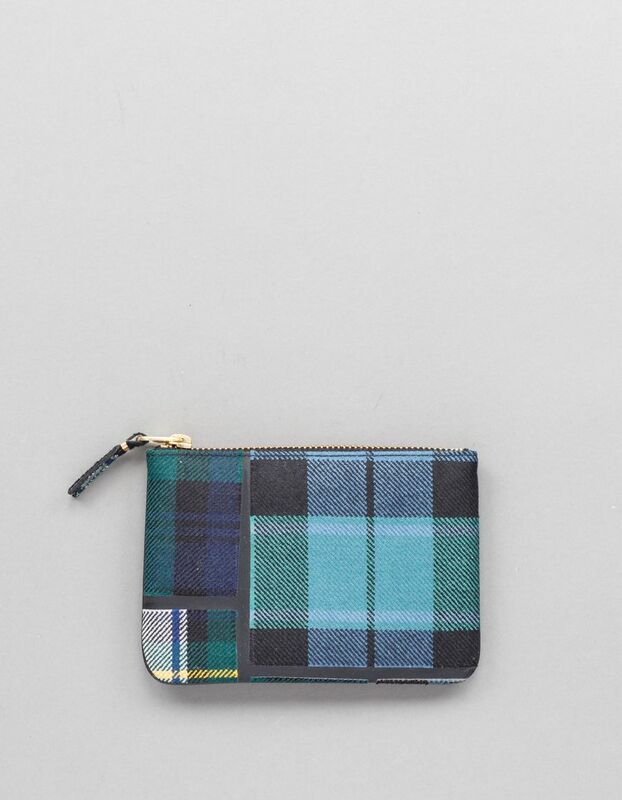 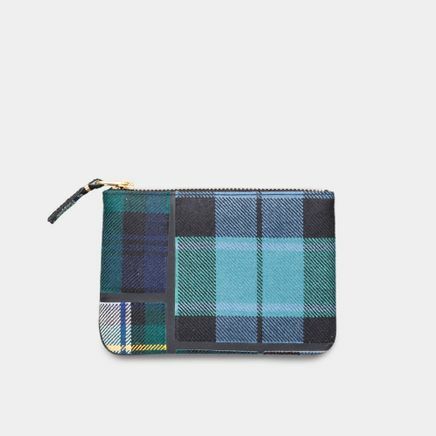 Rounded zip wallet in tartan from Comme des Garçons. 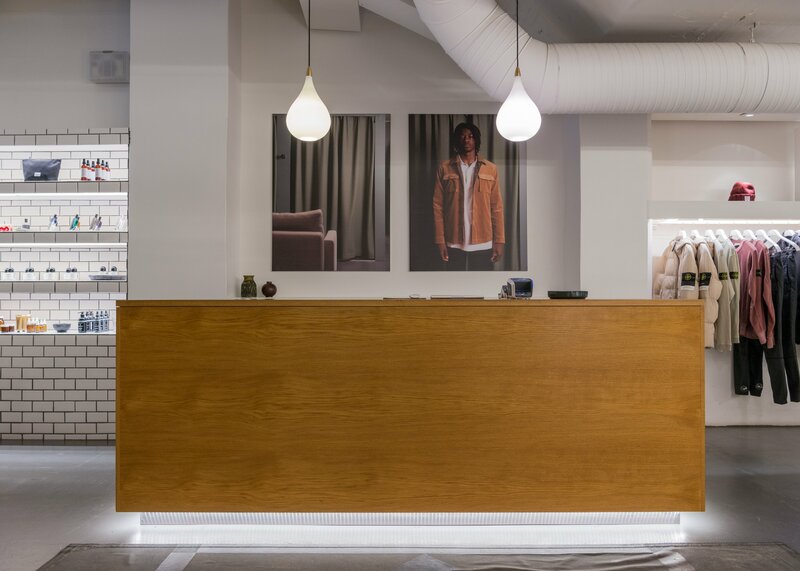 Leather lined interior in 100% Cowhide and brasstone hardware. 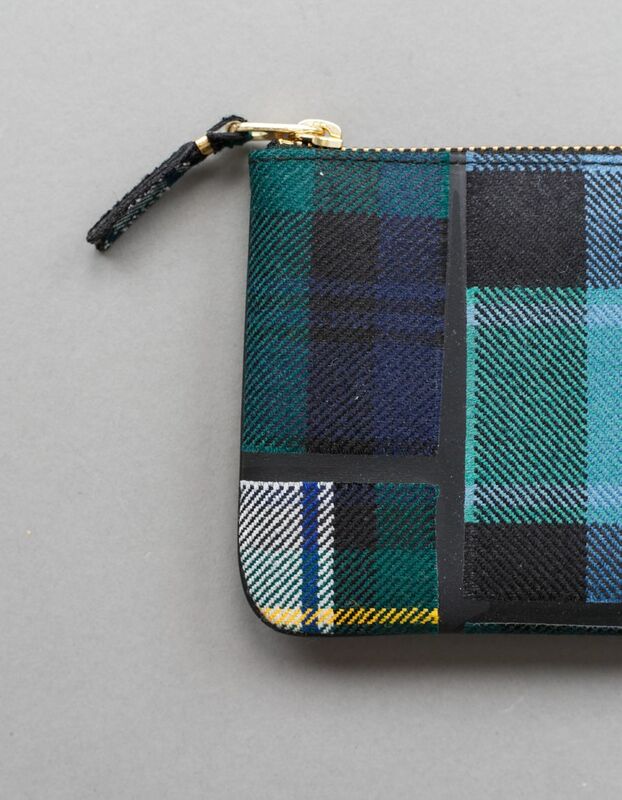 Exterior in Wool and rubber details.